Ryanair passengers will be unable to check in online during a 12-hour "systems upgrade" later this week, the airline said today. New bookings and changes to existing flights will also not be possible when the airline's website and mobile app are taken offline from 5pm on Wednesday until about 5am on Thursday. Ryanair's policy is to charge passengers extra if they need to check in at an airport. The firm's online check-in facility is only open between 48 hours and two hours before a flight for passengers who have not paid extra to select a seat. Ryanair's head of communications Robin Kiely said the temporary suspension of its website and mobile app was part of the airline's "continued digital development". "We sincerely apologise for any inconvenience caused by this upgrade, which will further improve Ryanair.com," he added. The airline also today announced a new route from Dublin to Bodrum in Turkey, with a twice-weekly service starting in May 2019. 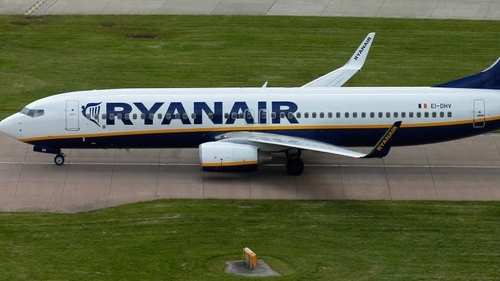 The new route is part of Ryanair’s Summer 2019 schedule and includes 10 new routes to Bodrum, Bordeaux, Bournemouth, Cagliari, Frankfurt, Gothenburg, London Southend, Lourdes, Luxembourg and Thessaloniki. Meanwhile, Ryanair has said its passenger numbers grew by 7% in October to 12.6 million from 11.8 million the same month last year. The airline said its load factor - how many seats it fills on each flight - was 96%. When passenger numbers from the recently launched Laudamotion are included, Ryanair said its total passenger numbers rose by 11% to 13.1 million last month. During October, the airline had to cancel just over 300 flights because of a five day airport handler strike at Brussels Zaventem, some adverse weather (winter storms) and continuing ATC staff shortages in the UK, Germany and France.